The only low-cost carrier operating between the Philippines and Guam, Cebu Pacific, is encouraged by recent statistics from the Guam Visitors Bureau (GVB) indicating that the Philippines is one of its fastest growing sources of visitor arrivals. Philippine visitors to Guam grew by 125% in March 2016, compared to the same month last year. This led to the second best March in Guam's tourism history, with 133,335 visitor arrivals – just a few notches behind March 2013 with 136,728 visitors recorded. Total visitor arrivals for March 2016 rose 0.8% year-on-year. These figures follow on the heels of CEB's entry into the market, with the launch of four times weekly flights between Manila and Guam this March. "This is another demonstration of the 'Cebu Pacific effect.' By making air travel more affordable, we help boost tourism into the destinations we fly to," said Alex Reyes, CEB General Manager for Long Haul Division. 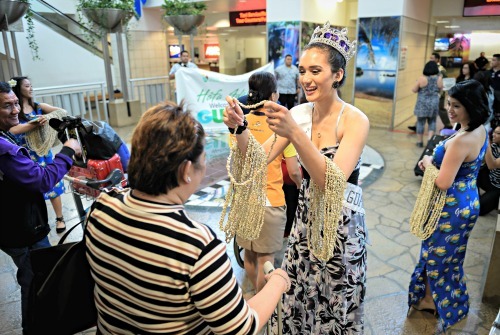 "We are proud to have contributed to the healthy surge in visitor arrivals into Guam, our first U.S. destination." Passengers wishing to go to Guam may take advantage of CEB's one-way, all-in fares for as low as PHP 7,212. Hot meals, seats with extra legroom, and baggage allowance, among others, are options that can be added to the fare. Guests can make the most out of the summer months by taking part in the annual Pacific Asia Travel Association (PATA) Summit, or the 12th Festival of Pacific Arts which will both commence in Guam this May. CEB's Guam route operates every Tuesday, Thursday, Saturday, and Sunday, utilizing the airline's Airbus A320 fleet. The non-stop service departs Manila at 4:15AM, arriving in Guam at 10:05AM. The return flight departs Guam at 12:20PM, arriving in Manila at 2:05PM. Guam, USA is CEB's 30th international destination. Aside from Guam, CEB offers flights to a network of more than 90 routes on 64 destinations, spanning Asia, Australia, and the Middle East. The airline's 57-strong fleet is comprised of 7 Airbus A319, 36 Airbus A320, 6 Airbus A330, and 8 ATR 72-500 aircraft. It is one of the most modern aircraft fleets in the world. Between 2016 and 2021, CEB expects delivery of two more brand-new Airbus A320, 30 Airbus A321neo, and 16 ATR 72-600 aircraft.